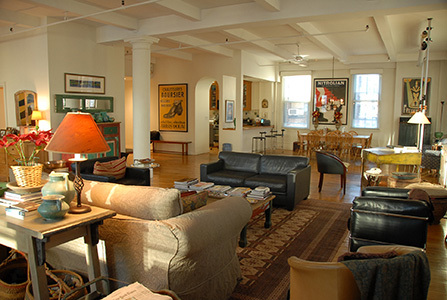 This beautiful and spacious loft in the heart of the Flatiron District is available for television and print shoots. The bright, 2300-square-foot space offers hardwood floors with 11.5-foot ceilings and 17 windows awash with light. Other conveniences of this prime location include easy access and a large open plan in an elevator building. The loft has already starred in a number of TV commercials and print advertisements.